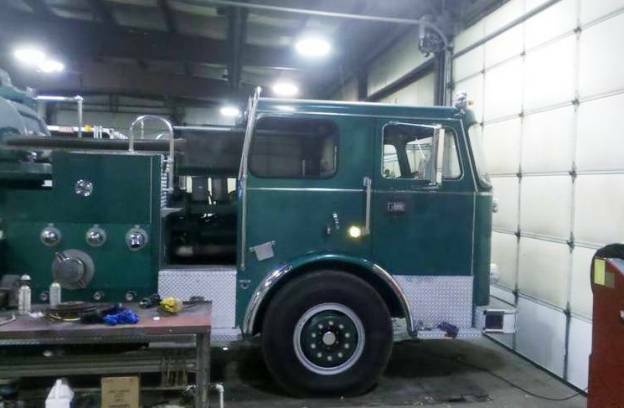 The 1973 green Seagrave quint operated by Walnut Street Fire Company No. 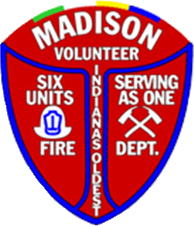 4 from 1973 – 1994 has returned to Madison, Indiana. 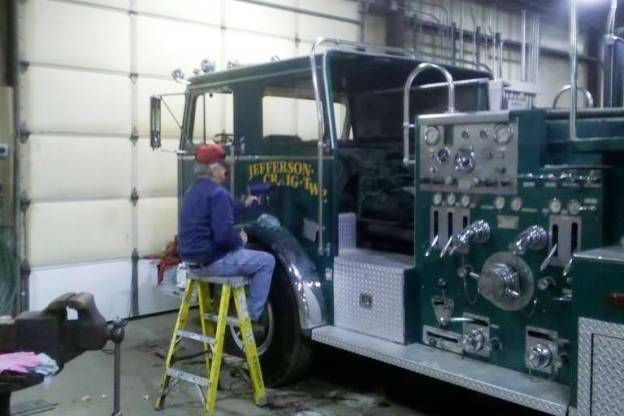 Sold to the Jefferson-Craig Fire Department in Vevay, Indiana in 1994, the now 38-year old truck has been purchased by the City of Madison as a reserve apparatus for the Madison Volunteer Fire Department, and will be stored in a heated building at the Madison Municipal Airport. 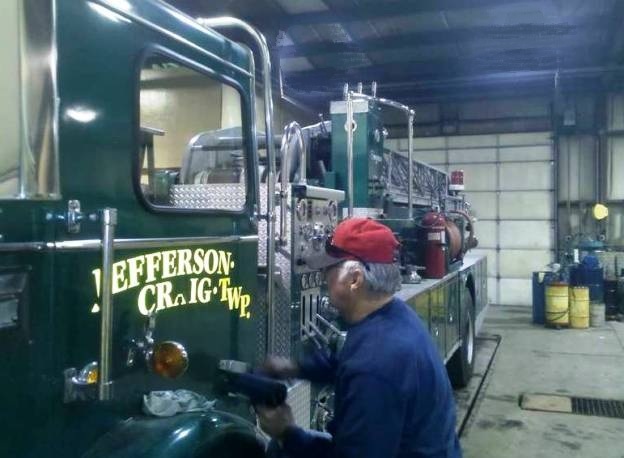 The pump and 85-ft aerial ladder are operational, but will be given safety checks before the truck is declared available for reserve service. 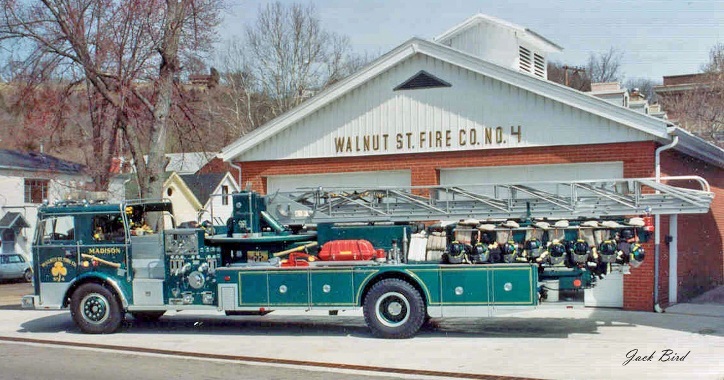 Click Here to Post a Comment on This Article.